Time for Day 7 of 12! This one is just for you if you’re struggling to make something for a techy loved one or a guy! 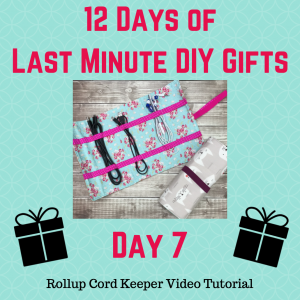 You can customize this Rollup Cord Keeper with so many fun fabrics and different colored elastics. And wait ’til you see how easy it is! You can use quilting cottons or other textiles like faux suedes, leathers, vinyl or even cork fabric. In the video tutorial I show you one I made in natural colored cork fabric and it’s fab! 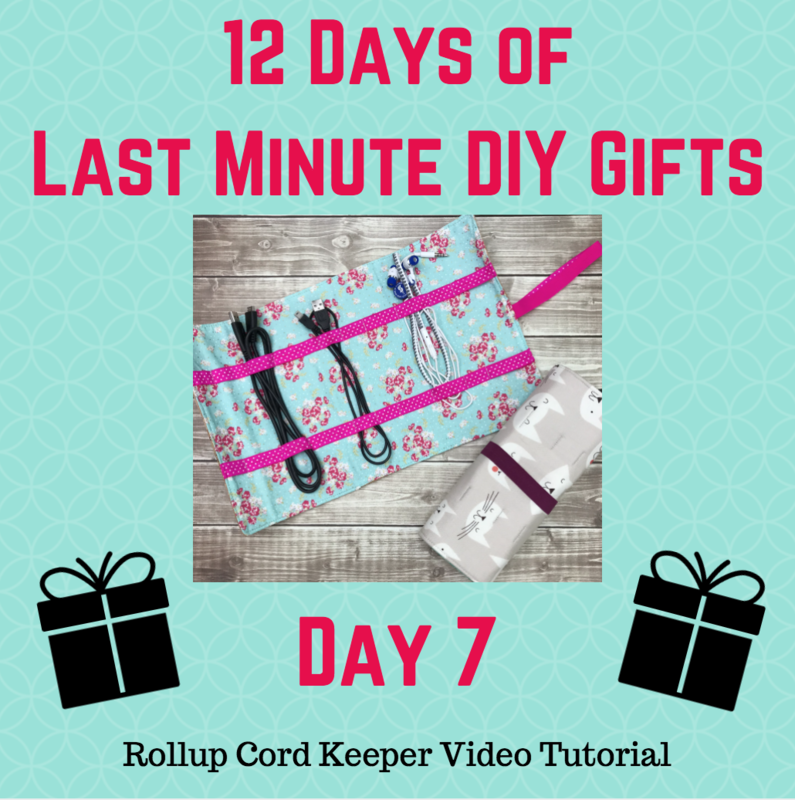 This is a quickie project that any recipient will be able to put to good use! Hope you enjoy it. What a great gift idea! Thank you so much ??? ?